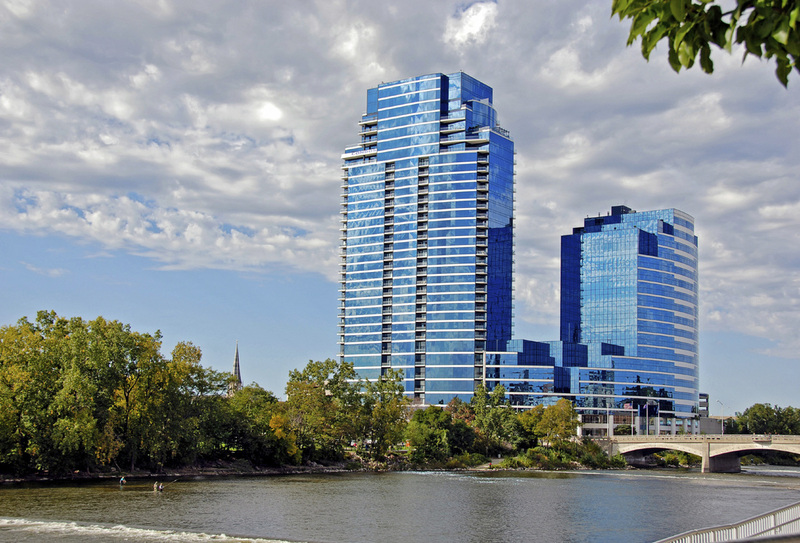 Located at 335 Bridge Street, you'll find the prestigious River House condominiums towering over the Grand River. Floor to ceiling windows throughout the units offers magnificent views of downtown Grand Rapids. Enjoy River House's premium amenities including 24/7 security, indoor lap pool & hot tub, club room with kitchenette, and a fitness center with full men's & women's locker rooms.